Contender has replaced their classic 23 Open with the Contender 24 Sport—making their entry level offering bigger and better. For years the smallest Contender in the fleet was the 23 Open, and this builder focused on producing new models with a lot more heft, like the Contender 30 ST, and the 39 ST. No more. 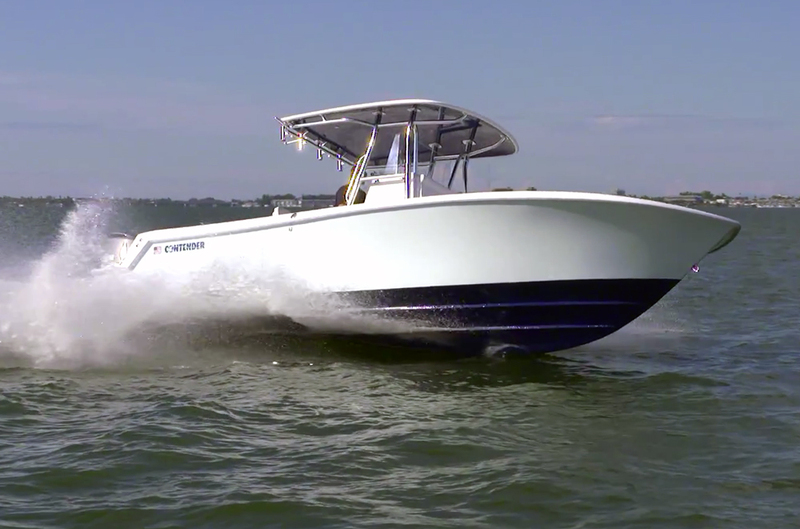 This year, they've renewed their interest in smaller boats with the new 24 Sport. 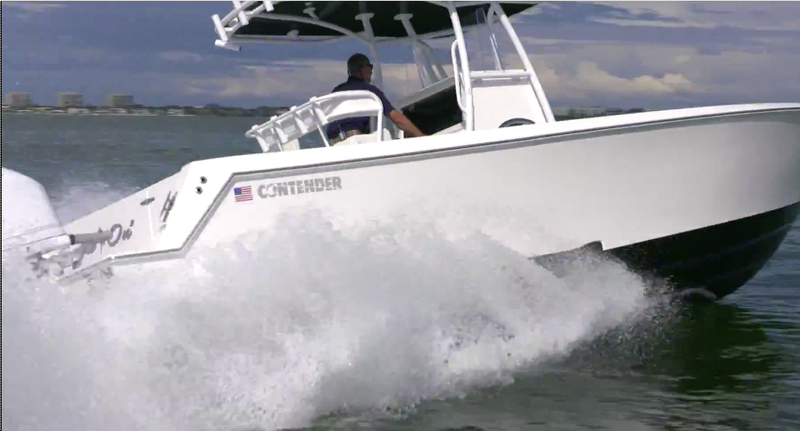 The Contender 24 Sport: it may be small, but it's thoroughly offshore-capable. The 24 Sport is three inches wider and just over a foot longer than the old 23, and displacement rose by about 500 pounds. Fuel capacity has been shaved down a bit, going from 150 to 130, but this is as much a reflection of today’s more fuel-efficient outboards as anything else. Consider that the boat gets better than 2.5 miles to the gallon (with a single Yamaha F250 outboard), providing over 300 miles of range. If that’s not enough for you, you probably need a bigger boat anyway. Transom deadrise has also backed off a hair, from 24.5 degrees to 22.5 degrees. If these changes sound a bit like Contender is looking to satisfy a broader spectrum of anglers, you’re hearing things right. 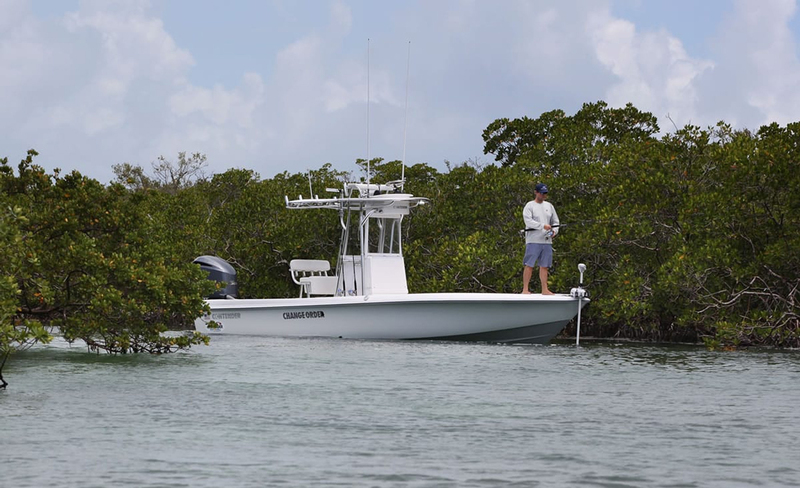 The 23 was such a die-hard fishing machine that it didn’t match up well with family use, which the 24 Sport is a bit more adept at. Now the console houses a head compartment (the head itself is optional), forward seating includes an insert to turn the foredeck into a comfortable U-shaped seating area, and there are aft jump seats. Despite these minor gentrifications, you shouldn’t think for a moment that Contender plans on diss-ing the anglers among us. 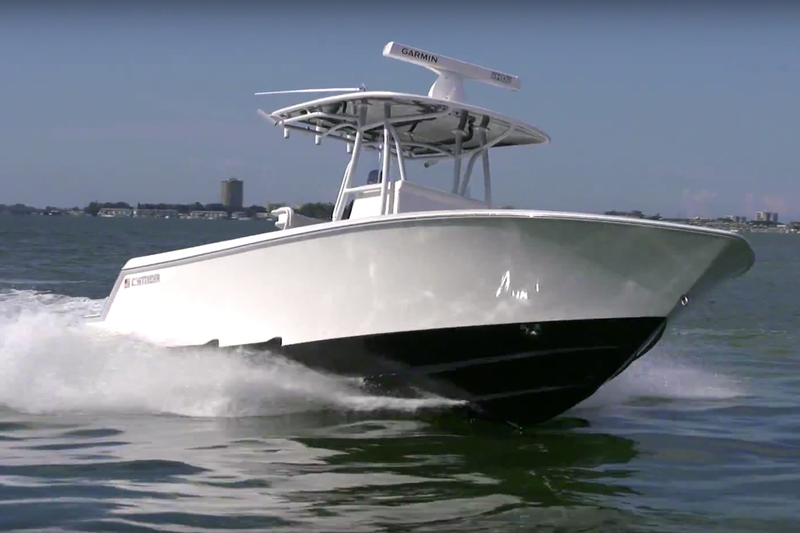 Sure, its attitude has been toned down a bit, but 24 Sport still has a number of fishy features that will be tough to find on competing boats. The four fishboxes (two forward and two aft) have a combined 197 gallons of capacity. The transom livewell holds 26 gallons. And four flush-mounted rodholders plus three rodracks per side are all included on the standard features list. So far as construction goes, Contender has thankfully not messed with success. Stringers are PVC-cored fiberglass, fuel tanks are glassed and foamed in place, and the deck is reinforced with structural PVC core. Unlike many builders Contender lets you choose the hull and deck colors, as well as boot and pin stripe colors. 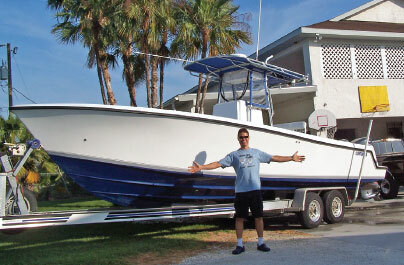 Is this new-generation Contender as hard-core fishy as the boat it replaces? Nope. Will it appeal to a wider range of people, as a result? Probably. 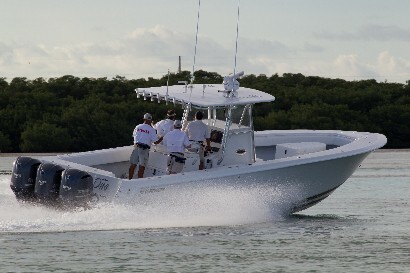 But no matter what your priorities may be in a boat, one thing’s for sure: the 24 Sport should renew interest in Contender for a new generation of anglers, who are interested in the entry-level size of this builder’s fleet. 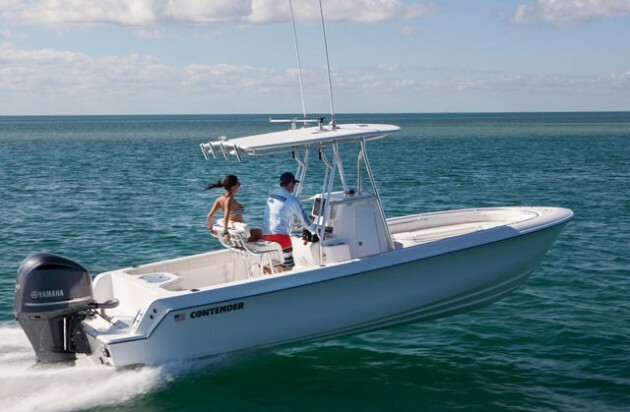 Other Choices: Shopper will want to compare notes on the Contender 24 Sport against those on the Regulator 23. 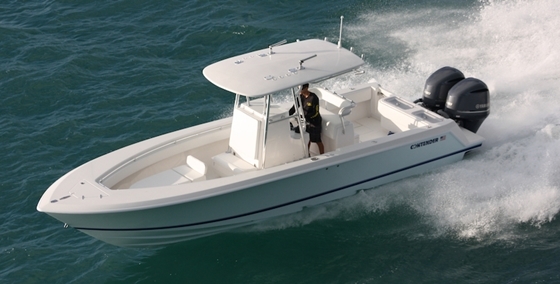 Another high-end center console in this size range is the Boston Whaler Dauntless 240. See Contender 24 Sport listings. For more information, visit Contender.